Whether you are planning an intimate dinner for 12, or hosting a lavish cocktail party for 150, iconic Melbourne venue, The European Bier Café, offers distinctly versatile spaces, and we invite you to explore them. Functions at Aer Rooftop Bar offer an experience like no other, featuring views of the city guaranteed to impress your guests. Aer is also an all-weather rooftop — with misting machines for summer and cover, fireplaces and heaters for cooler months. 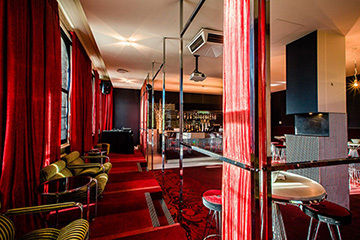 Level 1 Function Space features plush booths, dance floor, stage, audio visual facilities and projector. It is perfectly equipped for an an exclusive party or a corporate event. 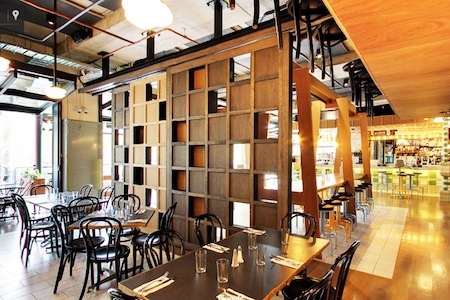 The Basement Pizzeria is trendy and relaxed, cosy yet spacious, and ideal for cocktail or seated functions. Whether you are hosting a gathering or offering guests an entertainment experience to remember, we can tailor a package to suit any occasion. We have function packages that can be tailored to suit your event. Audio visual facilities are provided.